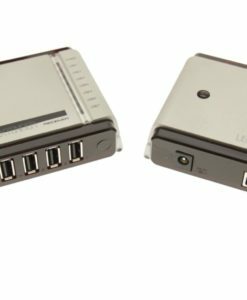 4-Port USB-C PD hub includes 2 USB-C PD-source ports (one on the back panel) and 3 USB-A USB 3.1 port to give you a multi-function hub. This hub can be used while connected to your MacBook, Chromebook, or other Type-C enabled laptop to provide charging power to mobile devices. USB-C 4 port hub with Type-C power delivery source operation supports 20V/14.5V/12V/5V power range. The USB-C PD hub is constructed with a metal case for industrial and commercial use. Power is obtained through the 19-20V power input at the barrel connector or 2-wire terminal connector. Surge protection of 15KV across all ports protects USB devices connected to it. The USB-C 4 port Hub includes 2 USB-C PD-Source ports and 3 USB 3.1 USB Type-A ports. The LED power indicator is built-in showing power to the hub is active and ready to use. 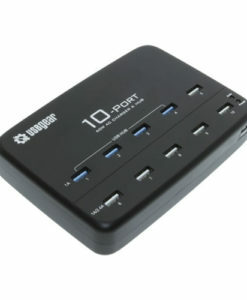 Use this USB Type-C hub where power delivery is required to charge mobile phones or tablets, while connected to you USB-C enabled Laptop. Mounting can be done on any flat surface, i.e. wall, table top, under table.